Not everyone is born with a naturally straight smile. If you are among the unlucky few, you likely feel insecure about the appearance of your teeth. To resolve the alignment issues you face, you have heard the many great benefits that are possible with Invisalign, but still have not made the decision to schedule your consultation. Now, new advancements in the treatment have made it more popular than ever. Backed by more than 4 million cases, the FDA-approved treatment will give you the results you want without brackets and wires. When compared to traditional braces, the benefits of the clear aligners are unmatched. The treatment is the most preferred solution because it is virtually undetectable so you can feel confident while you wear them. Not to mention, the length of the treatment is considerably shorter than that of metal braces while you also do not have to deal with the restrictions of wires and brackets. Although these benefits remain unchanged, there are now new advancements with the aligners that will give you another reason to smile. In the past, the average treatment took about 12 months. Now, the length of time can be cut in half. Previously, you wore each aligner in the series for about two weeks prior to switching to the next in the series. Now, they are changed weekly to move your teeth even faster without compromising the end results. For teens, following their treatment plan is easy because the aligners come with a compliance indicator, which fades from blue to clear to help them remember to change their aligners on time. Using the SmartTrack material and SmartForce features, you benefit from enhanced performance with 75% more predictable tooth movement. As the plastic used for the aligners has changed to SmartTrack material, they fit more comfortably while also being easier to put on and take off. This makes dental hygiene easy while you do not have to worry when removing the aligners when eating outside of your home. Now, Invisalign can be used to treat even the most complex cosmetic cases as these new innovations help to move your teeth more precisely and accurately. As advancements in orthodontics continue to revolutionize treatments, Invisalign continues to be a leader in the pack because no other treatment can quite compare. If you are ready to get straight, healthy teeth without metal wires and brackets, it is time to see if you are a candidate. You will have the confidence you need to start your journey to a straight smile. 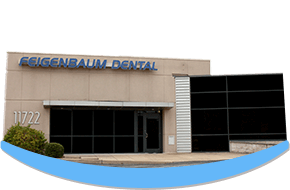 Feigenbaum Dental is committed to building beautiful smiles with a gentle touch. With a primary goal of creating a family-oriented dental practice, they help patients of all ages achieve and maintain optimal oral health in a comfortable and relaxed environment. In addition to general dentistry, they offer many areas of specialty, including orthodontics and cosmetic services. If you have questions about the new advancements with Invisalign, contact Feigenbaum Dental to schedule a consultation.